Are you a former UCI Dance Department student? We want to know what our alumni are doing post-graduation! If you are a Dance Department alum, drop us a line to bring us up to date! Please include the year you graduated and the degree you received. Send updates to dance@uci.edu. Write "Alumni Update" in the subject line. Amy Quanbeck (2012) Monkeys, Students, Denziens of the Emerald City, Palace Guards and Other Citizens of Oz in WickedNational and International tours. Andrea Yorita (2012) Company Member with BalletX in Philadelphia, Pennsylvania. Finalist in the Genée International Ballet Competition in Toronto, Canada, performed as an apprentice in Molly Lynch’s 2010 National Choreographer’s Initiative (NCI), and performed with Traverse City Dance Project under the direction of Jennifer Lott and Brent Whitney. Assisted Jodie Gates in setting Rochambeau on Ballet West II in 2011. Shane Scopatz (2011) is a company member of Batsheva Ensemble in Tel Aviv. Rachel Berman (2011) Performed as Alice in And Then She Fell, A New York City play produced by Third Rail Projects, directed by Zach Morris. Gregory DeArmond (2010) Company Member with North Carolina Dance Theatre. Performed in Molly Lynch’s 2010 National Choreographer’s Initiative (NCI) and has performed works by by Jean-Pierre Bonnefoux, Jiri Bubenicek, Mark Diamond, Sasha Janes, Dwight Rhoden, William Forsythe, Jodie Gates, Peter Quanz and David Allan. Julian DeGuzman (2010) Assistant Dance Captain in Broadway Production of Newsies. Shannon Leypoldt (2010) Company Member with San Francisco based dance company FACT/SF including an international Trans-Siberian Russian Tour. Additional performance credits include works by San Francisco local artists Benjamin Levy, Christine Cali, Angela Mazziotta, and Backwoods Dance Project.Ching Ching Wong (2010) Company Member with Northwest Dance Project. Will Johnston (2010) Founder and Co-Director of ENTITY Contemporary Dance Company. Dancer for Sonya Tayeh’s Tayeh Dance, Justin Gile’s SoulEscape, Erica Sobol’s CollidEdance and Boogiezone's professional hip-hop team, BREED Dance Company. Assistant Director of Westside Dance Project. Taught and choreographed for numerous studios and workshops across California, Florida, Singapore, and Australia. Marissa Osato (2009) Dance Faculty with West Coast Dance Explosion. Founder and Co-Director of ENTITY Contemporary Dance Company. Danced with Boogiezone’s professional hip-hop team, BREED Dance Company, Erica Sobol's CollidEdance, and Tessandra Chavez’s Unity LA. Represented by The Movement Talent Agency, television credits include The Ellen DeGeneres Show and FOX’s So You Think You Can Dance. Has worked with musical artists such as Coldplay, Rihanna, Patti LaBelle and Charice. Has taught master classes across the U.S. and in Europe, Australia, and South America. Instructor at EDGE Performing Arts Center in Hollywood. Stephen Diaz (2009) Performed as Bolo in Broadway Production of Westside Story. Sarah Ross (2009) Academic Counselor in Revelle College at University of California, San Diego. Past positions include Assistant Academic Counselor at Earl Warren College at UCSD. Marc Nunez (2008) Performing as Lost Boy (actor, singer, dancer) in the national tour of Peter Pan, starring Cathy Rigby. Has performed for various film and telvision shows, including dancing for Rihanna in the 2008 MTV Video Music Awards, and commercials and music videos for Disney, Nintendo Wii, and K-Swiss. Original member of Boogiezone's Entity Contemporary Dance Company under the direction of Marissa Osato and Will Johnston, and danced for Mike Esperanza's BARE Dance Company for several years. Regularly teaches contemporary, ballet, jazz, hip-hop, musical theater, heels dance and dance fitness classes in throughout Southern California and New York. Liane Aung (2008) Company Member with Backhausdance in Southern California and Entity Dance Company. Stacey Aung (2008) Company Member with Luna Negra Dance Theater in Chicago, IL. Past credits include Company Member with Hubbard Street 2 of Hubbard Street Dance Chicago, Laguna Dance Festival. Phil Vicars (2008) Backup Dancer for Donny and Marie Osmond in Las Vegas. Sharon Kung (2008) Dancer/Choreographer with Thodos Dance Chicago. Krystal Matsuyama (2008) Company Member with Boogiezone’s Entity Dance Company and BARE Dance Company after touring both nationally and internationally with Complexions Contemporary Ballet as an apprentice. Kate Lazar (2007) Pilates instructor at Yogaworks Inc.
Marc Macaranas (2007) Founding member of DanceWorks Chicago, Company Member with Luna Negra Dance Theater, Lucky Plush Productions as well as Mordine & Co. Dance Theater. Has also appeared in Thodos Dance Chicago's New Dances series. Robyn DeGuzman (2007) Ensemble in Elf, The Broadway Musical. Past performance credits include Disney’s Beauty and the Beast national tour (Silly Girl/Assistant Dance Captain), Annie Get Your Gun, Guys and Dolls, Miss Saigon at Arizona Broadway Theatre. Marci McDonald (2007) Instructor with Southland Ballet Academy in Southern California. Sue Murray (2007) Company Member with City of Angels Ballet Company in Studio City, CA. 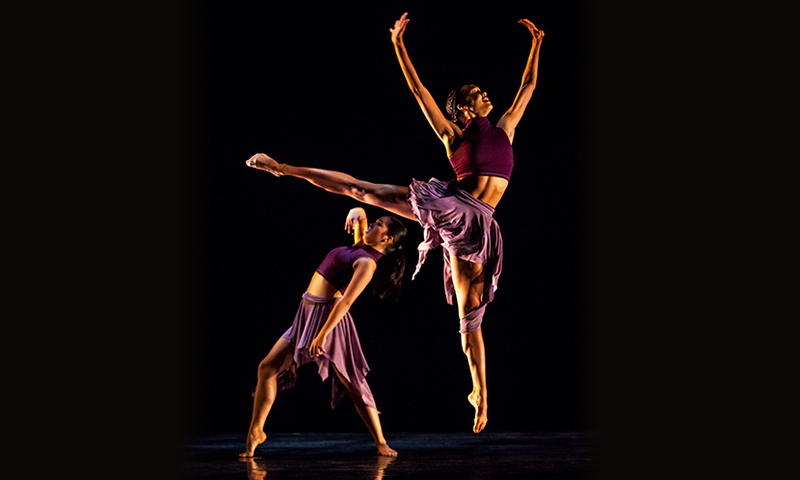 Past credits include Company Member with Cleo Parker Robinson Dance Ensemble in Denver, Colorado. Charlotte Perebinossoff (2007) Trained with the National Dance Institute and former New York City Ballet dancer Jacques d’Amboise. Teaching Artist and Program Coordinator with California Dance Institute (CDI) in Venice, CA. Omar Olivas (2007) Company Member Diavolo Dance Theatre. Past credits include Company Member with BackhausDance in Southern California, Instructor throughout Orange County and guest performer for Los Angeles Contemporary Dance Company and BackhausDance. Genevieve Ernst (2006) Assistant to the Co-Chairmen at Diane von Furstenberg in New York, Contribution Editor at Weekend Names. Previous employment includes freelance writer, office manager and editorial art intern at Time out New York. Janea Magallenes (2006) Senior Energy Engineer at Siemens after receiving her MA in Engineering at University of California, Irvine. Felicia Flores (2006) Owner and Artistic Director of Anti-Gravity School of Dance in Sacramento. Lindsey Goldstein (2006) Associate Director of Student Judicial Affairs & Community Standards at University of Southern California. Mario Espinoza (2005) Company Member with Ballet Hispanico of New York. Past credits include Company Member with Odyssey Dance Theatre in Salt Lake City, Company C in the Bay Area, CA and Diablo Light Opera’s production of On The Town. Noelle Menard (2005) Past credits include Dancer in Cirque de Soleil’s Las Vegas production Viva ELVIS, Company Member with Odyssey Dance Theater. Film credits include Featured Dancer in High School Musical 3: Senior Year. Amelia Abrahams (2005) Pilates instructor and dancer with Nevada Ballet Theatre, Ballet Chorus in Phantom of the Opera in Las Vegas. Whitney Ence (2005) Post-doctoral Psychology Fellow at Children’s Hospital Los Angeles (CHLA). Past acheivements include Pre-Doctoral Intern (TEACCH) at University of North Carolina at Chapel Hill, Ph.D. in Clinical Psychology at UCSB in addition to Masters in Counseling at UCSB. Meredith Ostrowsky (2005) Dancer and Aerialist in Taylor Swift’s Speak Now World Tours. Past credits include Dancer with Disneyland, Universal Studios, L.A. Opera, Radio City Christmas Spectacular and Company Member with Nate Hodge’s RhetOracle Company. Television and film credits include Dancer in Brulesque, Herself in the documentary Move, Dancer in Rihanna’s Performance on American Idol Finale, Dancer Carrie Underwood’s music video Good Girl. Kaylen Ratto (2005) Director of External Affairs with Youth America Gran Prix. Previously the Gala Coordinator and Client Outreach officer at Career Transition for Dancers in New York City. Mandarin Wu (2005) Founded Mandarin Orange Performing Arts (MOPA) and Los Angeles Movement Arts. Creator, Producer and Artistic Director of Dance Bistro dance festival in Long Beach, CA. Has danced with the Metropolitan Opera in New York. MFA earned from Tisch School of the Arts at New York University. Miguel Zarate (2005) Film and television credits include Finalist on Bravo TV’s Step It Up and Dance, Dancer with Rihanna for the MTV Video Music Awards and Disturbia music video, Finale Dancer in Footloose (movie 2011). Choreographer for MTV'sRob & Big, MTV’s Tr3s Bust-A Ritmo, Robin Antin's Pussycat Dolls in Las Vegas, Hannah Montana Best of Both Worlds Tour, Pussycat Dolls When I Grow Up performance on the MTV Movie Awards. Senior Associate Choreographer for 2011 The X Factor Live Results Shows under the direction of Brian Friedman. Choreographed, danced and worked alongside artists including Rihanna, Lady Gaga, Miley Cyrus, Ke$ha, Britney Spears, PussyCatDolls, Davy Havok of AFI, Chelsea Handler and Adam Lambert. Michelle Camaya (2004) Ensemble in Broadway production of The Lion King, Female Dancer in Off-Broadway production ofKismet. Film credits include Spring Festival Dancer in Memoirs of a Geisha, Dancer in Enchanted. TV credits include finalist on inaugural season of Bravo-TV’s Step It Up and Dance. She has since danced on the Asian tour of Swing and is now training to be a ballroom instructor. Michelle “Mochi” Camaya (2004) Associate Choreographer for Mark Stuart Dance Theatre in New York City. Her dance performance career includes The Lion King on Broadway, Twyla Tharp's Come Fly Away, national tours of Fame and Swing!, finalist on Bravo TV's Step It Up & Dance, and such films as Rob Marshall's Memoirs of a Geisha and Disney's Enchanted. Elizabeth Fields-Martinez (2003) Company Member with California Ballet. Nate Hodges (2003) Founder and Artistic Director of RhetOracle Dance Company. Director of dance department at Santa Monica High School, Instructor at The Jimmie DeFore Dance Center, MMSDance, Elevation Studios, Boogiezone Contemporary, and at high schools and colleges throughout Southern California. Corina Gill (2002) Corps de Ballet with Boston Ballet. Past credits include Eliot Feld’s Ballet Tech, San Diego Ballet, Ballet Pacifica, State Street Ballet, Molly Lynch’s National Choreographer’s Initiative, Los Angeles Ballet. Television credits includeHouse and The Cleaner. Featured in Pointe Magazine’s July 2012 issues of “Dancer Spotlight” by Ashley Rivers. Anna Kaiser (2002) Fitness Trainer for actress Kelly Ripa, was featured in Martha Stewart Living magazine (Jan 2013), and has appeared on Ripa's ABC television show Live! With Kelly and Michael. Founded dance-based fitness company, AKT InMotion, in New York City after a dance performance career that included the Disney film Enchanted. Elizabeth Chasteler (2001) Dance Instructor and Administrative Assistant at the Southland Ballet Academy. Company Member with Festival Ballet in Orange County, CA. Kathleen Edens (2001) Ph.D. candidate in Performance Studies at Tisch School of the Arts at New York University. Seth Williams (2001) Operations Analyst with Creditex Group, Inc. Dance credits include Company Member with Metropolitan Opera, Mark Morris Dance Group, Sean Curran Company and New York Baroque Dance Company. Contributor to When Men Dance: Choreographing Masculinities Across Borders, edited by Jennifer Fisher and Anthony Shay. Catherine Bonomini (2000) Assistant Director of Our Lady of Lourdes of Project Marian Productions Inc. Past credits include Company Member with JohnC Art Ballet in Orange, CA. Thea Vandervoort (1999) Director of Artistic Operations at Santa Barbara Chamber Orchestra. Assistant Director of Motion Theatre Dance Company in Santa Barbara, CA. Previously was National Program Director for Arts Bridge America and director of Arts Bridge program at Lawrence University in Appleton, Wisconsin. Instructor in ballet, modern, flamenco in addition to choreographing for Lu Melee Dance Group at Lawrence University. Charlaine Mei Katsuyoshi (1997) Lar Lubovitch Dance Group, Momix, Hubbard Street Dance. Touring cast of Disney’s Broadway Musical The Lion King. Film and television credits include Blade and Fame LA. Sae La Chin (1997). Metropolitan Opera Ballet, Radio City Rockette (first Korean-American Rockette), Wonderland (Broadway),Irving Berlin’s White Christmas (Broadway), Sweet Charity national tour, The King and I national tour. Dan Fletcher (Boggess) (1979) Company Member with American Dance Machine (ADM) in New York, Dancer in Anything Goesrevival at Lincoln Center. Physical Graffiti, 2018. Photo by Skye Schmidt.